I’ve been looking forward to sharing this for a long time. The past month I’ve been working on some new free UIs and textures for Monks. This is of course part of the update for my blog, which still has a few outdated pages (but a few less now!). 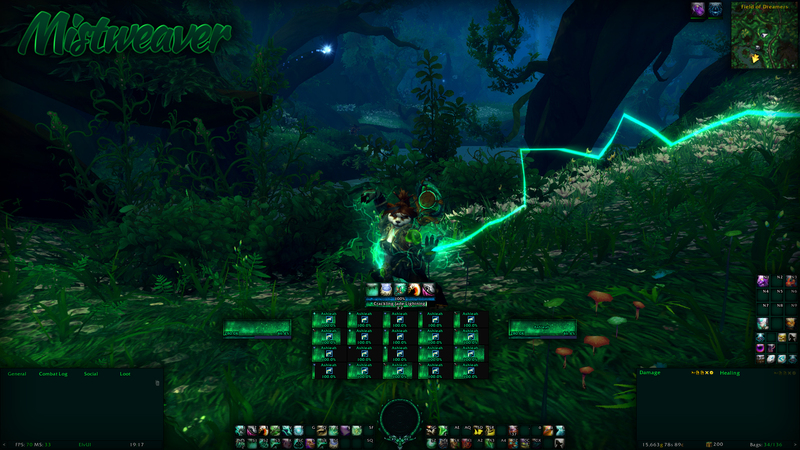 These UIs are very simple Elvui profiles with some extra custom art and textures, and I hope you’ll like them! I’m stuck in PvP swamp. Which is incredibly fun as a Mistweaver! I’ve set my eyes on high prestige levels to get all the artifact looks and mounts, which resulted in a lot of battleground popping. Since there is very little out there about PvP, I thought I’d write down the little knowledge I have (hence the ‘Basic’ in the name). Hopefully, it’ll help you get started! Admittedly, there are tremendously many great Mistweavers out there that are so much better at me at PvP. However, not much knowledge is written down to easy-to-read guides. For the ones that just need a basic overview, this guide is a great start! Posted on February 22, 2017 Categories Mistweaver, PvP, Site changesTags guide, honor talents, mistweaver, monk, prestige, PvP, rewards, Talents2 Comments on New PvP Page!